I finished this little quilt for my new spacious cubicle. The actual cross stitch took me frickin’ forever. I was afraid to use different colors than what the pattern called for, but I didn’t use the midnight blue aida that the pattern called for. So the finished product is a bit hard to read. I have had the completed cross stitch poorly framed for a couple years now. I have a lot more wall space now, so I decided to incorporate into a wee mini quilt. Love love love the colors. Love love love the sentiment. Still hard to read. I hustle plenty at work. Thinking I should bring this one home where a bit more hustle might be a good thing. I have just finished Amy Poehler’s autobiography. Meh. I left Tina Fey’s and Mindy Kaling’s autobiographies wanting to know more about Amy. They described a woman anamolous to fame – kind but tough. So I have been anticipating a book by Amy written by Amy for a bit now. I was dissapointed. Yes, she seems kind and tough, but I feel empty after reading this book. She has no lack of trite and obvious conclusions (the love for ones kids is overwhelming, do good to feel good, our cell phones are limiting us, blah, blah, blah). Just Meh. File under one should never meet one’s heroes, I guess. But there was a concept in the book that has been rolling around in my head. That certain people, places, things can work as time machines for us. Bringing our minds to happy memories… feeling the ways we felt then. This week I was in a building and a floor at my company’s headquarters that I haven’t been in for a long time. There is a conference room there that is a time machine. When I finally got a “real” job, I had lost all illusion that I was destined for greatness. The specialness I felt in childhood and in school (even college) had been stamped out by a soul-grinding search for work that wasn’t menial and wasn’t funded by my parents. It was beyond depressing. And it was good for me. The real world is hard – and you have to work hard to get and stay ahead. I needed that lesson – to have the bubble of my false self confidence burst, so that I could discover the tough non-bubbly core that I do have. I had to rebuild from a strong foundation rather than passing teacher accolades and being good at stuff that was easy for me. And that foundation still exists today. I can feel it in the center of my body – no matter what doesn’t go right, I know at my core I am strong and smart. That foundation can be shaken, but it can’t be destroyed. But at the time the feeling of being unhirable sucked. For reals sucked. After what felt like a lifetime, I finally got a good job on my own merit at a strong company. I was relieved and terrified. My real job was both real and magical. There were long days of focused work and being on the bottom rung of a very tall ladder. Now situated just slightly above mid-point of that ladder, I still can remember the pure elation of having a real job where I got to do real work. I hope I never forget that feeling. I was a tech writer. And there are two things I remember about being a tech writer: 1) You are definitely the bottom of the software development team. Most engineers and designers do not value the work of tech writers. 2) Tech writers are the most interesting, quirky, loveable people. Ever. Tech writers love language and have interests that are far outside of the standard interests you will find in a corporation that can be filled with lots and lots of basically the same people. Once a month we had an all-company tech writer meeting. And the combination of quirkiness and being treated a bit second-class by engineering teams, led to a feeling of fun and support in these meetings. 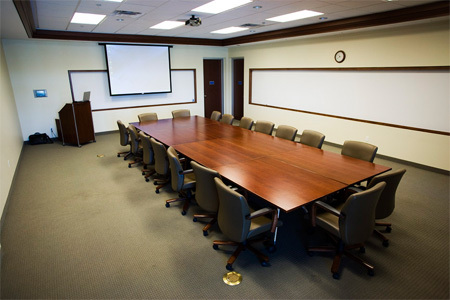 When I walked into that conference room yesterday, the conference room where our meetings were held, I remembered. I remembered the feeling of older associates supporting me as I took my first tentative steps to leadership. Not begrudging my fledling skills, but helping me gain my confidence. I remember the laughter – the release of being able to relax and revel in the oddness and awesomeness of the tech writers. There were true nerds, former English teachers, young, and old. And we all loved to laugh about how our teams slaughtered written English. I loved my trip on a time machine yesterday. I loved looking back and realizing how far I have come since those early-career days. Treasuring the friends I still have from that era of my life – forever friends. Wishing I had a community like that now. And so thankful that those quirky, intelligent, supportive people were in my life to help me survive and thrive.